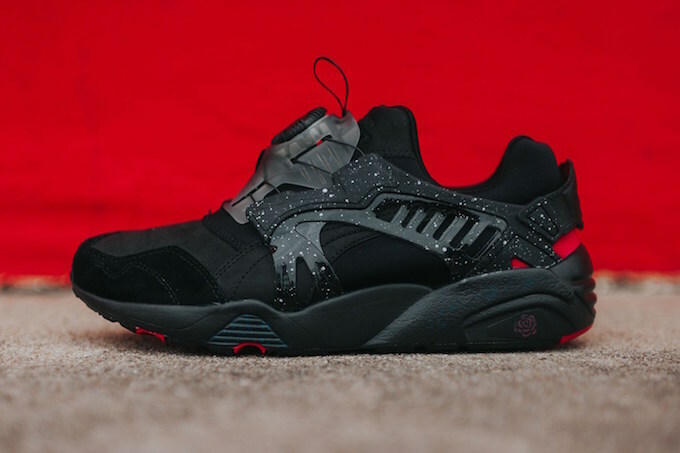 Puma collaborates with store Crossover on a Puma Disc Blaze for a Rose Red colorway, as a follow up to the recent Blaze of Glory release. 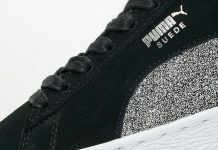 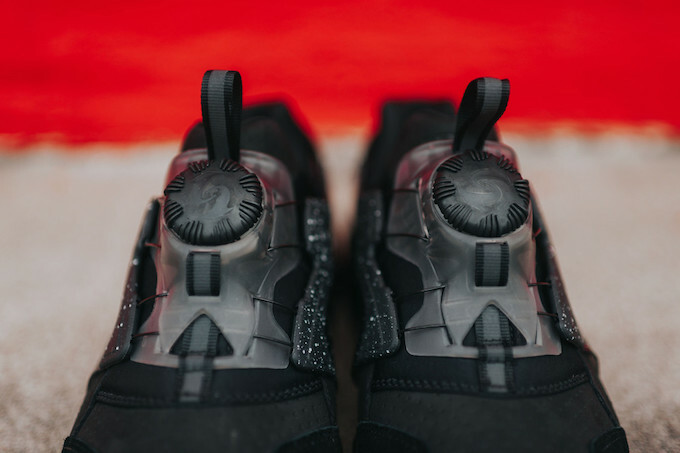 Giving the old school but futuristic Puma Disc Blaze a brand new colorway, the disc silhouette features an all black look alongside red accents and speckles for a fire release. 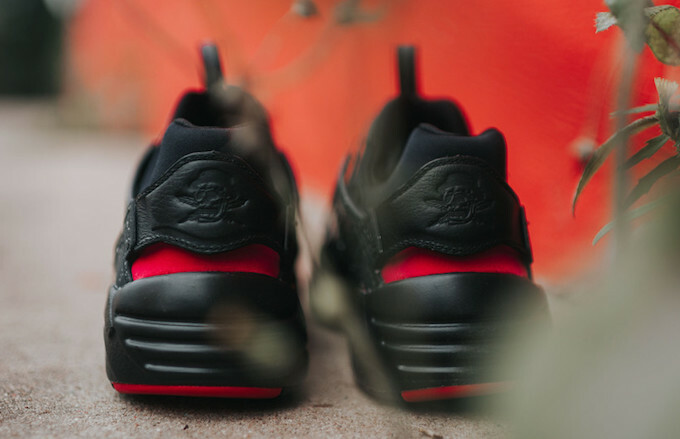 Rose imagery is placed on the heel and midsole to coincide with the Rose theme. 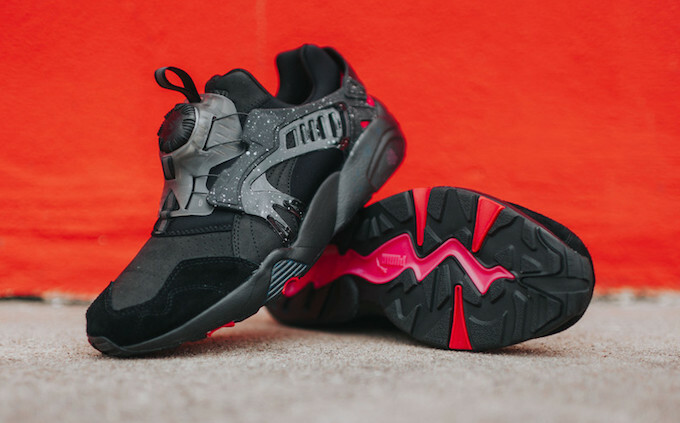 Look out for the Crossover x PUMA Disc Blaze “Rose Red” on May 14th, 2016 for a retail price of $180 at retailers like RCK.